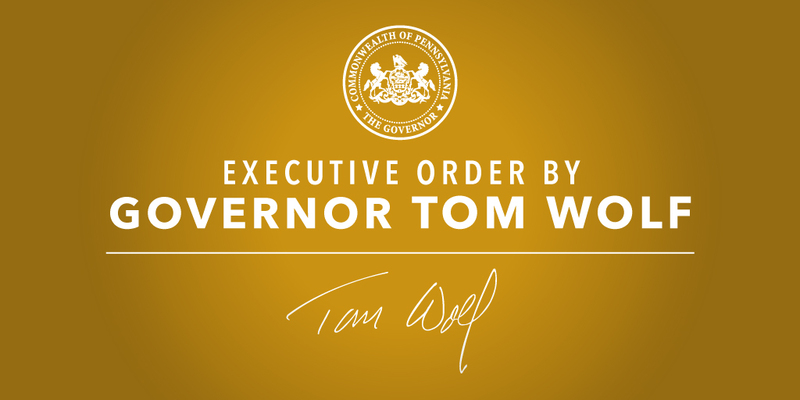 Harrisburg, PA – Governor Wolf signed an executive order today to release agency data to the public in open, machine readable formats. Open data refers to data in a format that can be understood by a computer and used freely by anyone. In Pennsylvania, the City of Philadelphia and the Western Pennsylvania Regional Data Center established by the City of Pittsburgh, Allegheny County and the University of Pittsburgh have released 450 data sets on topics including public safety, housing, health and human services and transportation. By releasing state data, it increases the ability for researchers, businesses and citizens to find innovative solutions to improve public and private services. The Governor has directed the Office of Administration to establish a central repository to serve as the common location for open data published by state agencies. The Office of Administration will also work with agencies to identify, secure, and release valuable data sets. The executive order requires agencies protect sensitive information. The new site is expected to be ready this summer and will continue to expand as new types of data are added.